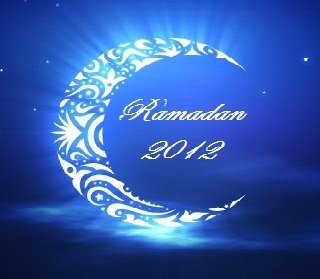 Wishing You All A Happy Ramadan Kareem 2012! The Holy Month of Ramadan is upon us. So let us make use of this opportunity to wish all our readers a very happy Ramadan Kareem, filled with peace, love and serenity, on behalf of the entire STC network (brother Mohammad, Nida and myself :)). This is a month filled with peace, and forgiveness. Muslims practice fasting in this holy month whereby they refrain from their desires such as eating and drinking all day long throughout the month, the purpose being to not only please God, but also to share the sufferings to the poor and the needy. Fasting is an important part of many religions, and not just Islam. Hence, we extend our greetings to ALL our readers, no matter what religion they follow. It is, after all, all about peace and love. We are very lucky, and proud to announce that this is our third Ramadan (three successful years of MBT) with you all! "It feels great to greet all my brothers and sisters the third time on this special occasion. Whether it may be any special occasion, we were always fortunate to share these splendid moments with you all. Thank you for everything and for being a family always. I would humbly apologize for being absent from my very own duty due to work load. In order to keep supplying you all with free plugin tutorials and some new SEO guidelines, we have decided to stop accepting services on the month of ramadan and I will make sure I post more frequently to keep you all updated. Stay blessed and happy always. 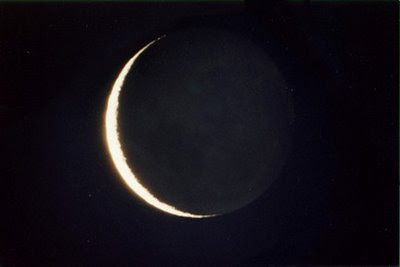 Happy Ramadan kareem 2012 :)"
Fasting is nothing new or exclusive. As we said, it is known to many religions. Indeed, the concept of fasting goes beyond any one religion. The sole purpose of the practice is to "hold fast" to your conscious, and never let it go. It isn't about keeping oneself hungry or thirsty. It is about learning to control one's desires and emotions, and to fight against such things that might lead a person astray. It is about patience. Desire leads a man towards wrong, such as desire for money, desire for a better living, desire for more money, and so on. Often in the course of his life, a person following his desires neglects his social duties, and might even resort to vile or criminal behavior in order to see his desires fulfilled. Hence, Ramadan teaches a man to be patient, and to think through his better judgement rather than letting his desires to do the thinking for him. Fasting also helps people realize the sufferings of the poor and the needy, who virtually are fasting every day of the year in all but name. Once when you put yourself in someone's shoes can you truly understand how they feel. Hence, the rich are more inclined towards helping the poor in this holy month, which is the whole point of humanity. Ramadan, the ninth month of the Islamic or Lunar Calendar, holds much importance among Muslims, and other people in general. In this month, good deeds are rewarded manifold. And in the odd nights in the last ten days of the month, i.e. 21st, 23rd......29th, there comes a night of peace and blessings and forgiveness. 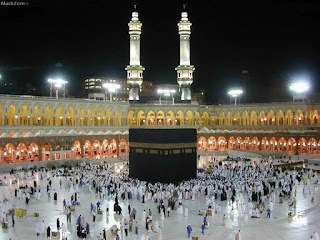 This is the night when the Holy Book, The Holy Quran was revealed to mankind. If someone gets lucky, their sins are washed away and their conscious is reborn. Ramadan mubarak for u too, Bhai! Ramadan mubarak for you too sir. I hope you can get the most of it. But keep the good work here. happy Ramadan to all of you! Visit us: Premium Blogging Tips. Happy Ramadan to all of you. I wish and expect MBT to get another new big achievement this year. Happy Ramadhan Kareem to u. Your blog is 1 of my favorite tutor blog. Same To You Bro xD ! Ramzan Mubarak To All Muslims. Brother Mustafa, Qasim Zaib and to Sister Nida Zaidi and to all the readers of MBT - HAPPY RAMADHAN TO YOU ALL. May ALLAH accept our fasting and forgive us all. Aameen. Thank you everyone for the kind wishes. I hope this month brings happiness and blessings in our lives. Thanks for the beautifull Posts brother, . .